TORONTO–Independent Jewish Voices Canada (IJV) and the United Jewish People’s Order (UJPO) welcome the findings of a survey of Jewish Canadians published yesterday by the Environics Institute. Much like American Jews, the results of the survey indicate that Canadian Jews are significantly divided on issues related to Israel-Palestine, with younger, Reform and unaffiliated Jews holding the most critical views of Israel. Findings that especially stand out include that nearly three times more Canadian Jews believe that West Bank settlements hurt Israel’s security than believe the opposite, and that most Canadian Jews do not believe the Israeli government is serious about making peace. In addition, of Canadian Jews who expressed an opinion, 35% believe that Israeli settlements in the West Bank are illegal under international law, a position which rises to 40% among 30 to 44 year olds and 51% among those under 30. These results are largely consistent with those of a recent EKOS survey, co-commissioned by IJV and UJPO, which likewise revealed significant divisions on Israeli policy among Jewish Canadians. 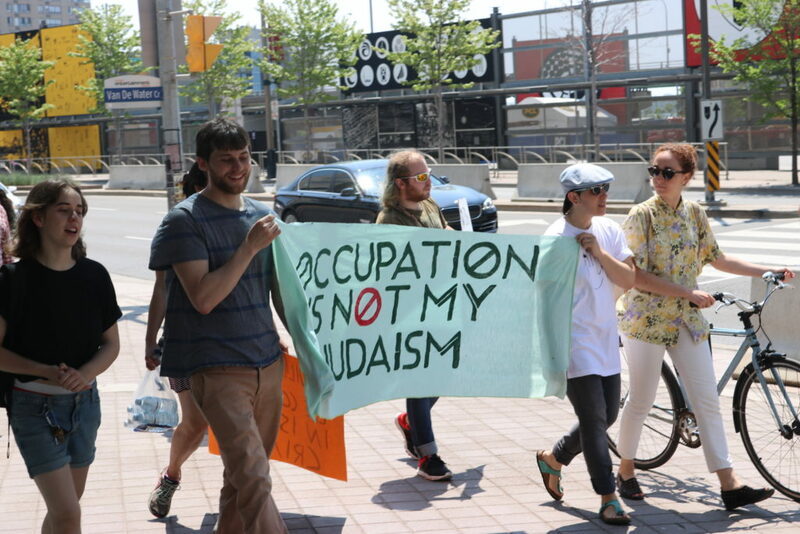 Released last month, the survey notably revealed that more than a third of Jewish Canadians hold a negative opinion of the Israeli government and that almost a third see the Palestinian call for boycotts of Israel as reasonable. About half also believe that accusations of antisemitism are often used to silence legitimate criticism of Israel. “It is critical that politicians, decision-makers and leaders of Jewish organizations take heed of changing Jewish opinions on these issues and reflect them in their policies and actions,” said Rachel Epstein, Executive Director of UJPO. The United Jewish People’s Order (UJPO) is an independent, secular social justice organization that works toward economic, racial, gender and environmental justice. We address issues of local, national and global concern and offer cultural and educational programming that fosters social awareness and respectful debate. We offer a welcoming and inclusive community for all who are interested.